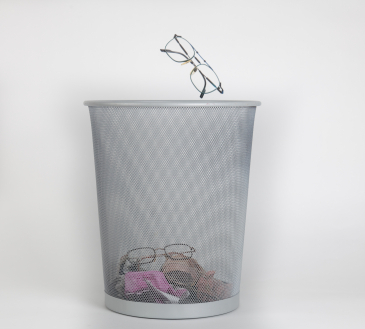 Wearing glasses or contact lenses can be quite inconvenient while performing day to day or simple tasks. Even watching TV or reading something or playing sports can be difficult with glasses, which is why so many people look into getting surgery to correct their vision. Laser eye surgery, most commonly known as LASIK (laser-assisted in situ keratomileusis), can improve a person’s eyesight by a procedure in which the cornea is reshaped in order to correct the way it focuses light into the retina. It can treat myopia (nearsightedness), hyperopia (farsightedness) as well as astigmatism. Bladeless lasik for patients in the Detroit area may be the best choice. For correction of nearsightedness, the cornea is flattened while it is made more steep to correct farsightedness. Astigmatism is when the cornea is irregularly curved, so it is given a more regularly curved shape with the LASIK procedure. Ophthalmologists are able to reshape the cornea by using a blade or a laser to create a thin circular flap in the cornea which is then folded back to allow reshaping of the corneal tissue with the help of an excimer laser. Topical anesthetic is applied to numb the eye and the surrounding areas. The most accurate, and therefore the preferred approach by Dr. Goldstein is to use an all-laser or bladeless approach to LASIK. During the procedure, some pressure will be felt on the eye due to the eyelid holder and the suction ring which lifts and flattens the cornea. Patients will also experience some dimming in vision which is normal for the procedure. After the surgery, the eye is allowed to heal naturally, with no stitches required. To get bladeless LASIK surgery for your eyes, you need to be in good general health and at least 18 years (21 years for some types of lasers) of age. Your vision and eyesight needs to have stabilized before LASIK can be performed, especially in the case of myopic eyes. Your ophthalmologist will review your medical history before deciding upon whether it is advisable for you to undergo surgery or not and will also recommend which type of LASIK is best suitable to correct your vision. Traditional LASIK uses blades to cut the corneal flaps. Nowadays, bladeless LASIK has gained popularity because there are fewer complications and risks involved than other types of LASIK. With bladeless LASIK, the flaps are created using a laser and not a blade, which makes it suitable for people who have very thin corneas. Ophthalmologists utilize computer technology called Femtosecond to create small and precise flaps quickly and efficiently with lesser damage to the surrounding tissue than when done with blades. However, either way, LASIK is able to correct vision successfully when performed by an experienced surgeon.